Dr. Dinesh K. Singal, has been in practice since 1991 in the Central New Jersey area and is board-certified in Internal Medicine, Cardiovascular Medicine, Interventional Cardiology and Nuclear Cardiology. In June 2006 he founded the Heart & Vascular Center of New Brunswick to bring a different dimension to the Cardiac and Vascular care in the community. Between 2010 and 2012 he spearheaded the formation of the Cardio Metabolic Institute which strives to lead the way in management of Cardio and Metabolic disorders in the Central New Jersey area with an emphasis on prevention, wellness, research and education. He was voted as a ‘Top Doc’ by NJMonthly magazine in 2014. Dr. Singal was a gold medalist in his Pre-Medical class in Punjab, India. He went to the All India Institute of Medical Sciences for his medical school, the top medical school in India for many years. He completed his Internal Medicine residency training and served as Chief Resident of his program in New York in 1988. He then completed his Cardiology Fellowship at Michael Reese Hospital in 1990. He completed a year of Interventional Cardiology at Rochester General Hospital (University of Rochester) in 1991 and finally started private practice in New Jersey in 1991. 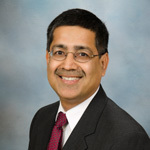 Dr. Singal served as the Acting Chief of Cardiology at Saint Peter’s University Hospital in New Brunswick from 1998-2000. He has been the Director of the Cardiac Catheterization Laboratory at Saint Peter’s since 1998. He led the establishment of the peripheral angioplasty program at Saint Peter’s and in 2007 established the Primary PCI (emergency angioplasty) program at Saint Peter’s. He serves on several committees at the hospital and is the current past President of the Medical and Dental Staff at Saint Peter’s University Hospital. Dr. Singal is a Clinical Associate Professor of Medicine at Drexel University College of Medicine. He is also a Fellow of the American College of Cardiology, a Fellow of the American College of Physicians, a Fellow of the Society of Coronary Angiography and Interventions and a Fellow of the American Society of Nuclear Cardiology. He is a Member of the Middlesex County Medical Society and the New Jersey Medical Society. Dr. Singal is affiliated with Saint Peter’s and Robert Wood Johnson University Hospitals in New Brunswick, NJ and with University Medical Center at Princeton, NJ. Dr. Dinesh K. Singal has been actively involved in the Residency teaching program at Saint Peter’s University Hospital for many years. He regularly gives lectures to the residents who complete their clinical rotations with him for cardiology. He has also been involved with the Family Residency program at Robert Wood Johnson University Hospital, the Physician Assistant Program at UMDNJ, Piscataway and recently he has been a mentor for Nurse Practitioner students wishing to do their rotations in Cardiology. Dr. Singal has been actively involved in clinical research over the last 5 years. He is a primary investigator in many clinical research studies mainly related to cardiovascular events and Diabetes. SOLID TIMI-52: Evaluating the role of darapladib (an inhibitor of Lp PLA-2) in patients with acute coronary syndromes. ALECARDIO: Cardiovascular outcomes study to evaluate the potential of Aleglitazar to reduce cardiovascular risk in patients with a recent acute coronary syndrome (ACS) event and type 2 diabetes mellitus (T2D). ELIXA Lexisenatide: Evaluating the role of an anti-diabetic medicine Lexisenatide in patients with acute coronary syndrome. ACCELERATE: Assessment of Clinical Effects of Cholesteryl Ester Transfer Protein Inhibition with Evacetrapib in Patients at a High-Risk for Vascular Outcomes. GLORIA-AF: Global Registry on Long-Term Oral Anti-thrombotic TReatment In PAtients with Atrial Fibrillation. ODYSSEY: to Evaluate the Effect of Alirocumab (SAR236553/REGN727) on the Occurrence of Cardiovascular Events in Patients Who Have Recently Experienced an Acute Coronary Syndrome. Since 2003, Dr. Singal has hosted a radio show called ‘Heartbeat’ on EBC Radio 1170 AM (Bridgewater, NJ) from 12pm-1pm (EST) every 2nd and 4th Saturday of the month. It can also be heard live at that time by clicking here. The show covers a variety of medical issues and has become very popular amongst its listeners who can call in live during the show to ask questions.